It is LIVE! 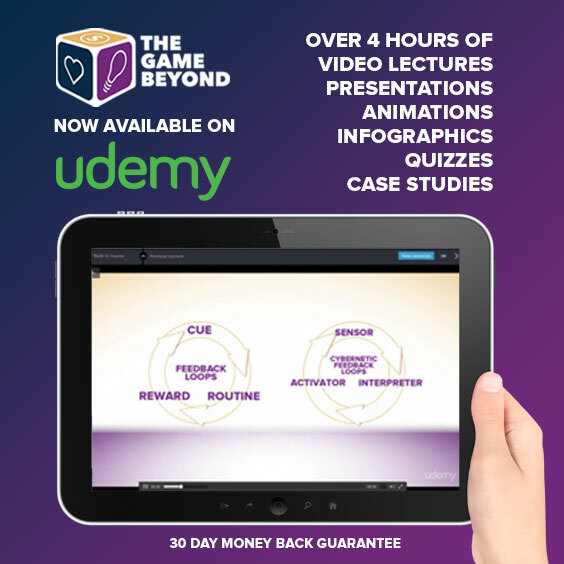 After a lot of hard work, The Game Beyond Game Design course is now online! Ok, a family review may not be convincing enough, so here. The course is filled with over 4 hours of content including video lectures, case studies, animations and presentations about game design theory. We examine award winning advertising campaigns, play psychology and look at some games that have changed human history forever. I personally guarantee you will have a number of AHA! moments of inspiration. If you not satisfied there is a 30 day money back guarantee! It's a race before Vacation time. I've made a 90% OFF discount for the FIRST 100 students to try it out! Try the course on your smartphone or tablet while chilling on vacation. It's the perfect time to practice some game theory. Make up some games on vacation to play with friends, family or the locals.